Thou Shalt Honor Local Nature Preserves! I visited the McKinney Preserve in Westbrook over the weekend. It is part of the National Wildlife Refuge System. I noticed that there wasn't a single person visiting the property while I was there. It made for a peaceful morning of birding but it's a shame that places like this aren't visited more often by birders. If dogs were allowed here I can almost guarantee dog owners would be walking their dogs here. There are some trails leading through open shrubby areas, deciduous trees, and then down to a saltwater marsh. 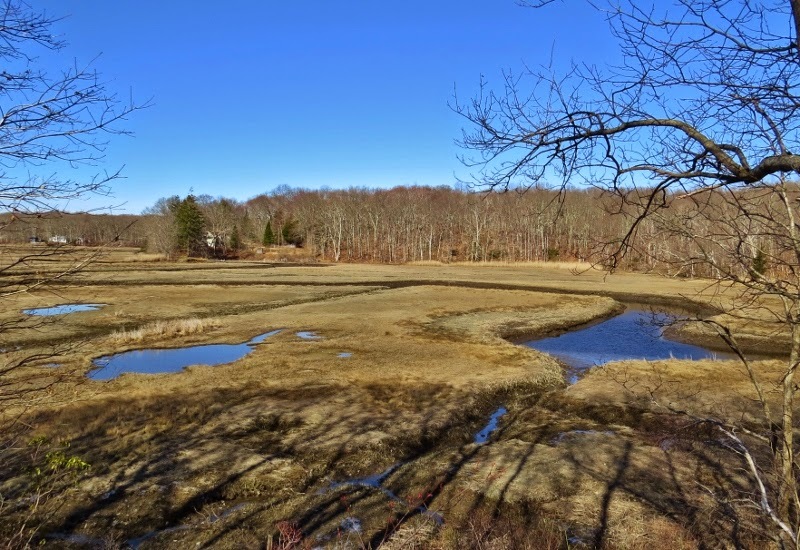 There is a lot of development along the shoreline in Connecticut so protecting saltwater marshes is a high priority. Just because a location is has a fancy title like National Wildlife Refuge does not guarantee that it's going to be loaded with birds but I had a fairly productive morning of birding. Some of my highlights included seeing Willets, Greater Yellowlegs, Red-breasted Merganser (above), nesting Osprey, a Little Blue Heron, and a mix of woodland birds. 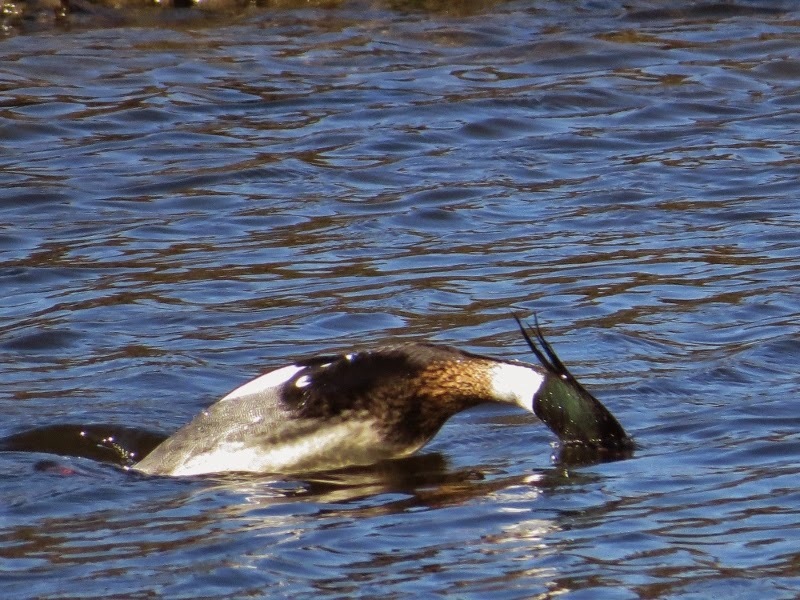 I took a seat for a while and was able to watch the merganser dunking and diving for food from a fairly close distance. 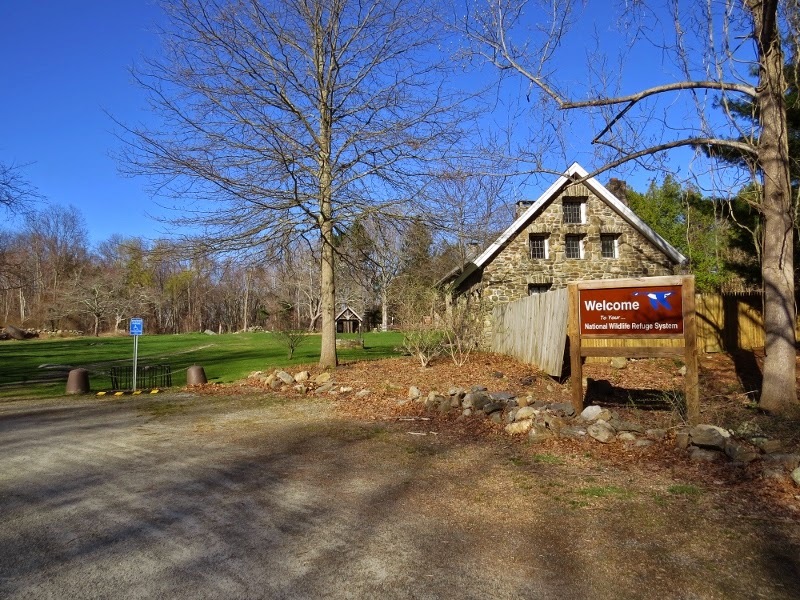 On a more local scale I also visited the Krueger Farm preserve in East Haddam. There's a couple of Louisiana Waterthrush singing down there somewhere. Can you see them by the rock behind the tree? I can still here them singing now! I imagine that there are people put time in effort into trying to find opportunities for to be purchased or protected from development and it occurred to me that birders can help bring attention to these special properties which might otherwise go mostly unnoticed. Use the power of google to find land trusts and nature preserves in your area. 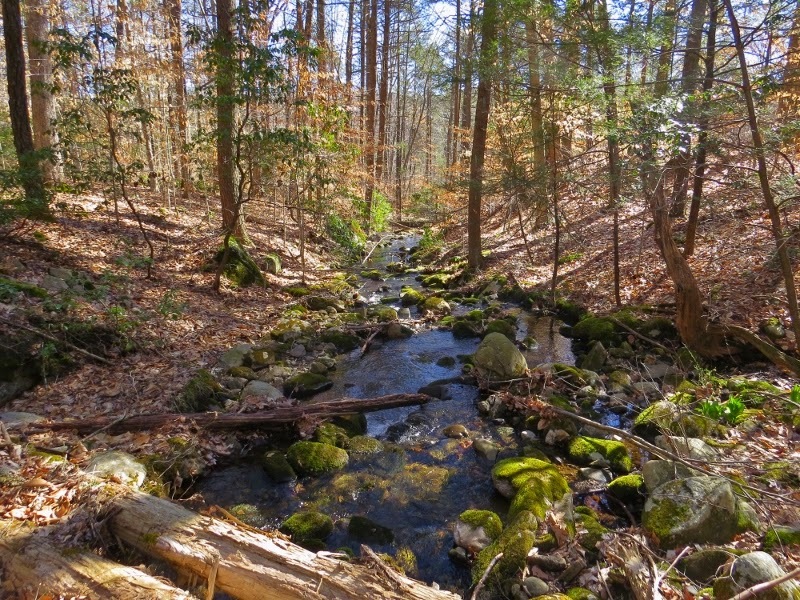 Take note of the natural features of the property that inspired someone to protect it from development. Enter your bird sightings for that area on e-bird and attach a picture if you have one. I've noticed some land trust websites will link bird lists with photos to some of their properties. remember not to wander off the property onto private land because many of these places border private property. 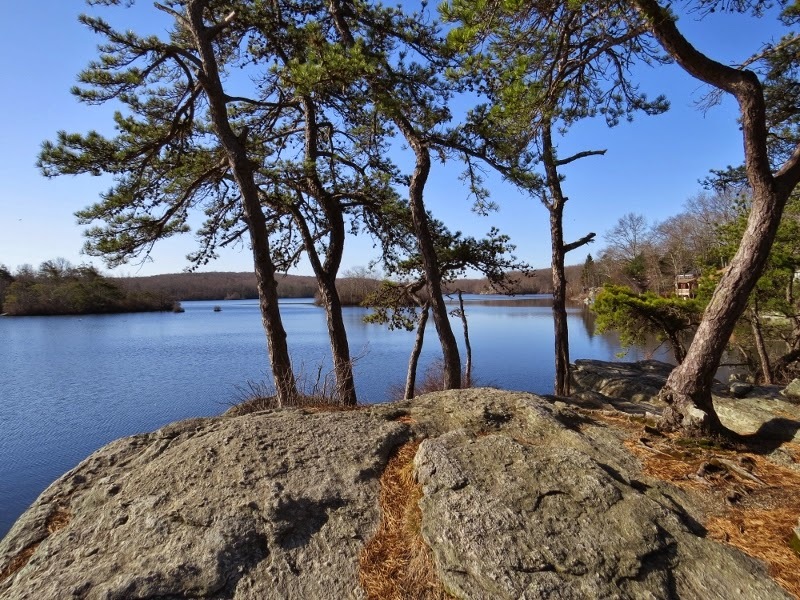 Remember: Ask not what your nature preserve can do for you, ask what you can do for your local nature preserves! Take a break from birding hotpots and chasing rare bird and put your birding skills to work! The town fair has been cancelled due to flooding conditions during some years. As you can see from this photo it makes parking difficult and cotton candy soggy. 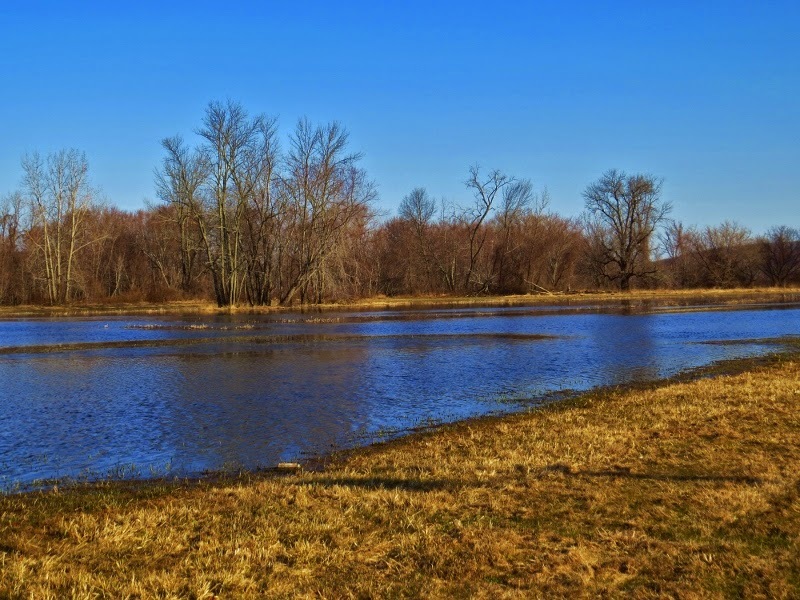 Fortunately, the fair is not until October but it seems I'll have to wait for the water to recede before I can return to birding at my favorite local patch. I made it down to the local heron rookery before flood waters hit. 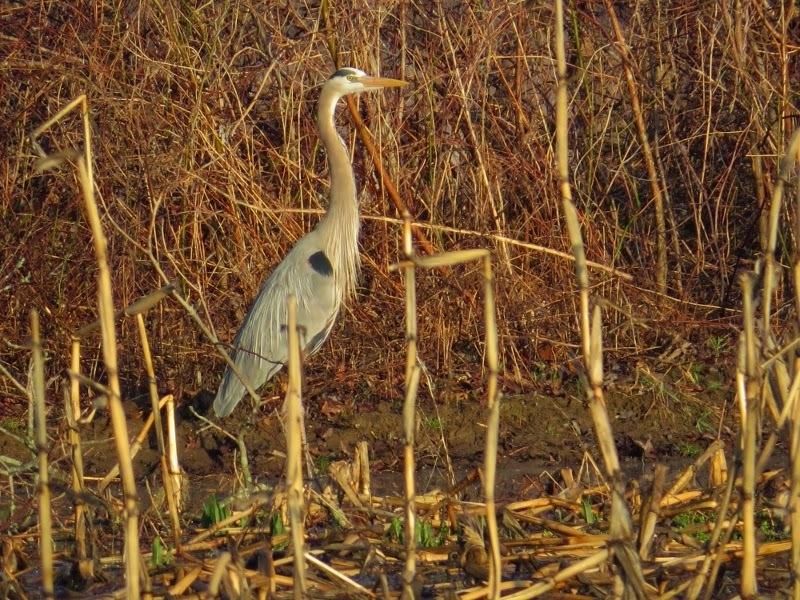 I'm guessing that the Great Blue Herons probably benefit from a little flood water. 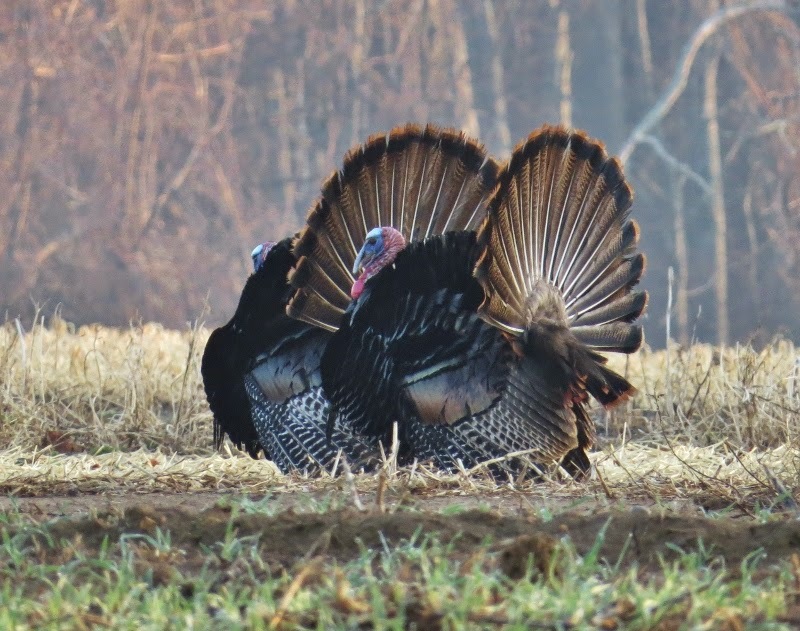 Meanwhile, the town turkeys stayed on dry land so they could display their tail feathers without getting their feet wet. Did you know that turkeys can swim when they want to? Yikes! Giant Spider! But What Kind? I was crossing Pine Brook in East Haddam Connecticut on a narrow footbridge when I saw this monster of a spider blocking my path. It looked just as big in person as it does in the photo. If it jumped on my arm when I was taking the picture my camera might have ended up in the water. I don't know much about spiders but I was thinking it might be a fishing spider. If anyone reading this knows about spiders then I would appreciate it if you could identify it for me. I posted it on a forum but no word back yet. 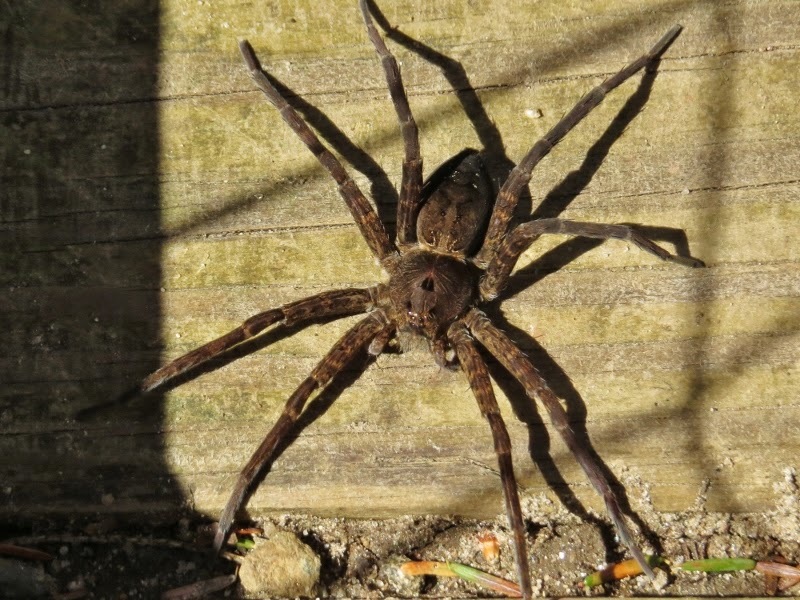 update: I received confirmation that this is a type of fishing spider (Dolomedes). These spiders hunt their prey instead of catching it in a web and even catch small fish (minnows). They're not known to be aggressive towards humans and their venom is not usually dangerous to people. It's hard for me to imagine having a bad day of birdwatching unless I were to encounter an unexpected mishap like losing my binoculars or having my car break down. However, there are times when I have uninspiring or disappointing days of birding. The recipe for days like this are 1/2 cup of expectations combined with 3 cups of impatience. If you set out hoping to see lots of "good" birds and expecting to get "good" photos of them you can be setting yourself up for disappointment. This weekend I was an an unfamiliar part of the state looking for interesting places like this lake I Somewhere out in the Griswold area. It was a scenic area with trails that led around the edge of the lake, past a beaver bog, and along a brook, I loved the rock formations especially the ones with pitch pines growing out of them. Birds? I saw a couple of Mallards, noisy Blue Jays, a Red-shouldered Hawk, and a couple of Eastern Phoebes. Nice, but the birding action was slow overall. 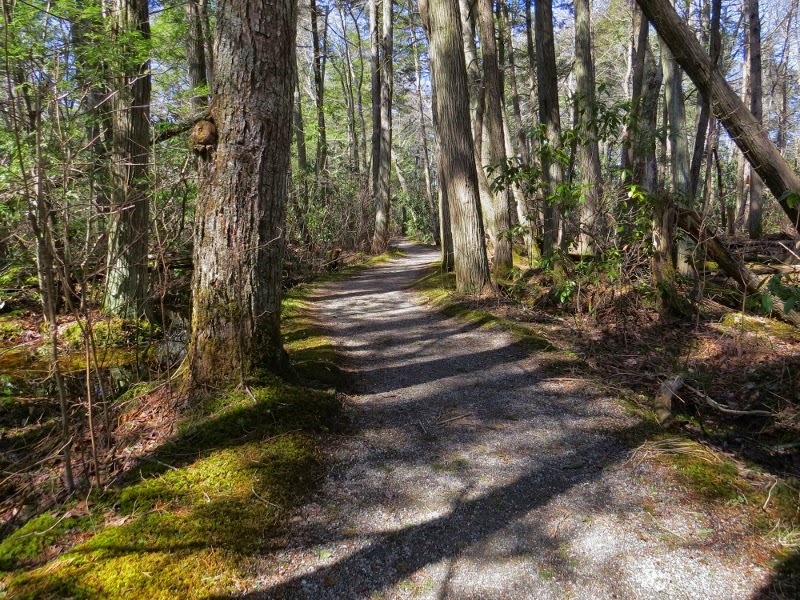 Here is a trail which leads through a Rhododendron Sanctuary in Pachaug Forest. Again, it was scenic but the birds were few. I heard a couple of kinglets and Wood Ducks but that was about it. 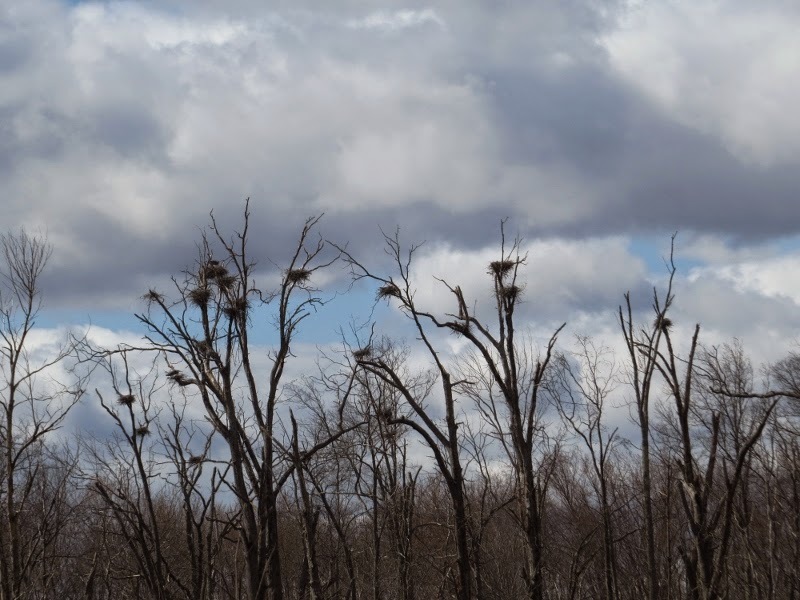 1) Naturally scenic places that are visually appealing to the human eye don't necessarily mean there will be lots of birds: Birds might be just as likely to a sewer plant or garbage dump if it has food and conditions they are looking for. That is a lesson that I've always had a hard time accepting. When I find a beautiful place I always hope that there will be lots of birds to see as well. 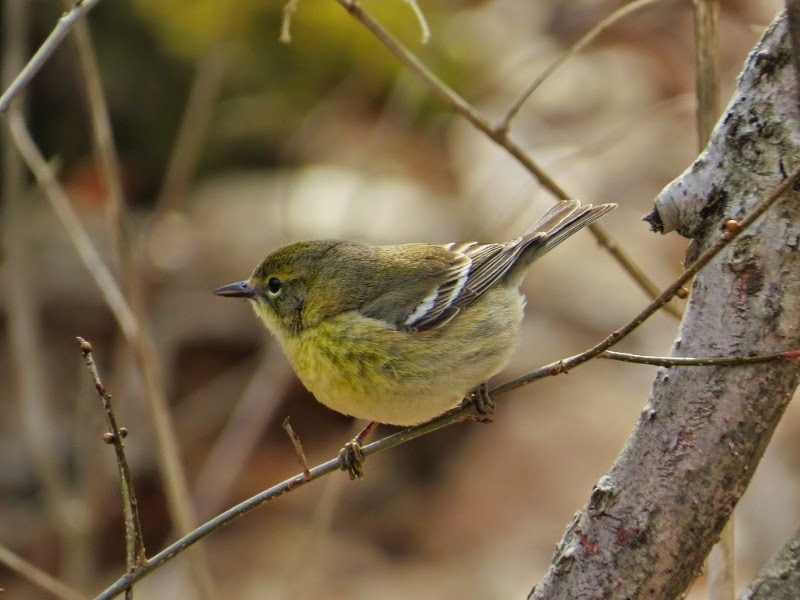 My best birding moments came when I encountered half a dozen Pine Warblers chasing each other through the woods. They never stayed in one place long and they were out of view when they did. Trying to get a photo of one reminded me of playing one of those crazy carnival games as a kid. It always seems a lot easier than it really is when a prize is dangling right before your eyes. It was fascinating to watch them follow each other from branch to branch as though playing a game of tag. I wish that I had spent more time just watching them and less time trying to follow them around with my camera. The next day I started out my birding day with a new approach which leads me to number two. 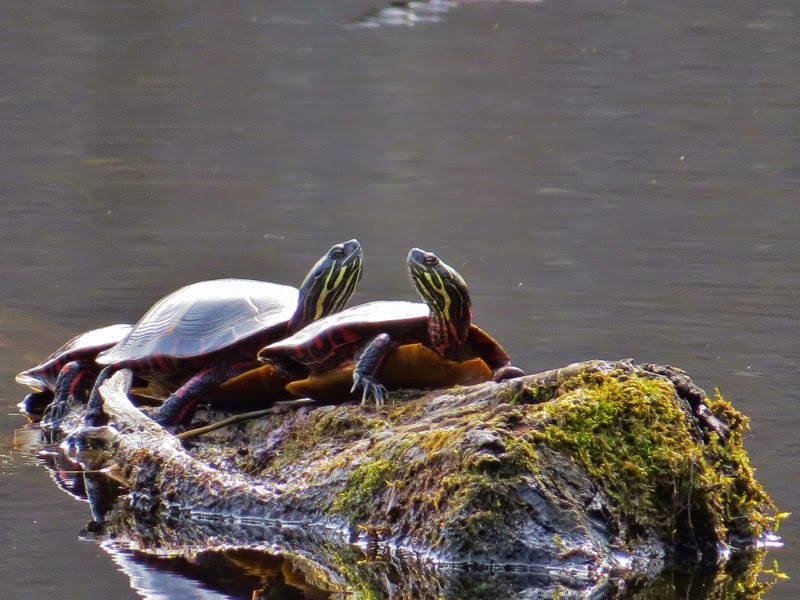 2) Take my time at each place I visit and appreciate whatever I see: In this case it was turtles that first caught my eye, not birds. 3) When there is bird activity stay still and only pick the camera up when the opportunity presents itself: It was fitting that as I sat still on a tree stump a Pine Warbler landed on a branch in front of me. I also saw several Palm Warblers, Yellow-rumped Warblers , a Ruby-crowned Kinglet, Louisianna Waterthrush, Pine Siskins and Blue-headed Vireo at one of my local patches in Meshomasic Forest which lead me to number four. 4) The grass is not necessarily greener on the other side of the fence so don't take your local patch for granted: You know the habitat and where to find the birds there so remember to appreciate your local patch! 5) Don't look a gift chickadee in the beak: Sometimes I don't bother taking pictures of birds I see all the time but then wish that I had a bird photo to show for my outing. That chickadee might be my only photo opportunity for the day so why not take a photo of it just in case? 6) Not all bird photos have to be perfect: When I first bought a camera a few years ago I would post any photo even really crappy ones. Now I sometimes find myself being too fussy but why? I'm not making a selling them, just sharing my birding experience for the day. 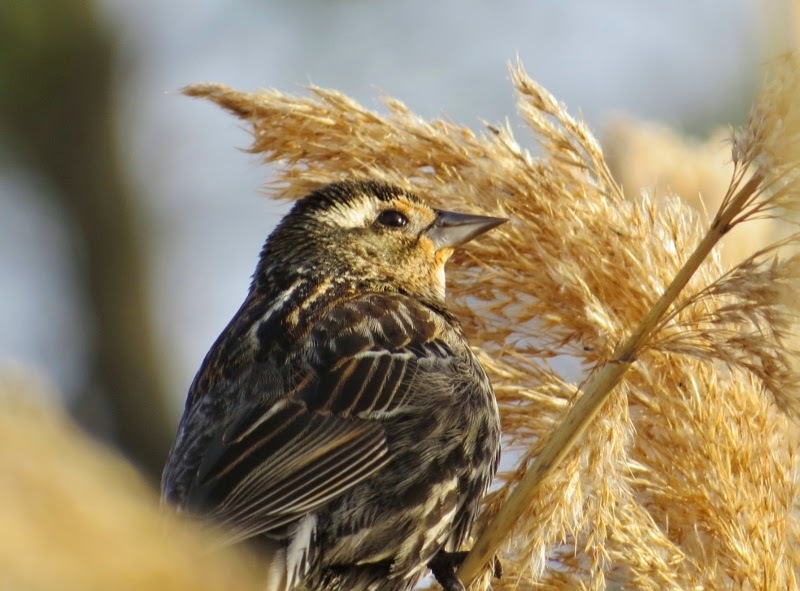 So here's a female Red-winged Blackbird with a slightly blurred eye and an out of focus- plant blocking a view of its tail. 7) When it towhee-land do as the towhees do: I enjoyed watching this Eastern Towhee scratching through the leaves searching for food. 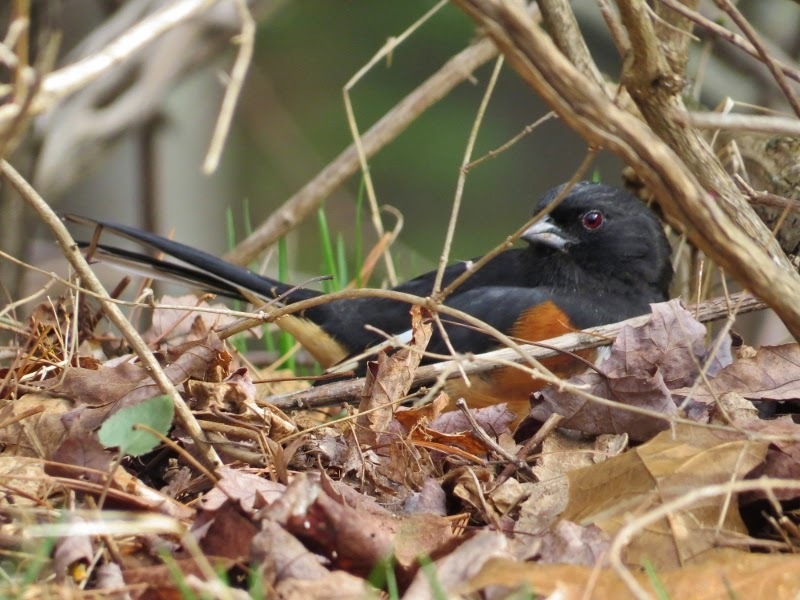 I started to lose my patience waiting for the towhee to come out so I could get a picture of him out in the open. After several minutes I decided to lay on the ground and watch him from eye level. There was an interesting moment when a Blue Jay flew over my and let out a loud warning signal as it passed by. I was looking directly into the eye of the towhee and saw it suddenly freeze just as it heard the jay. Its body stayed still as it looked around for danger. Staying low to the ground allowed me to observe this moment. 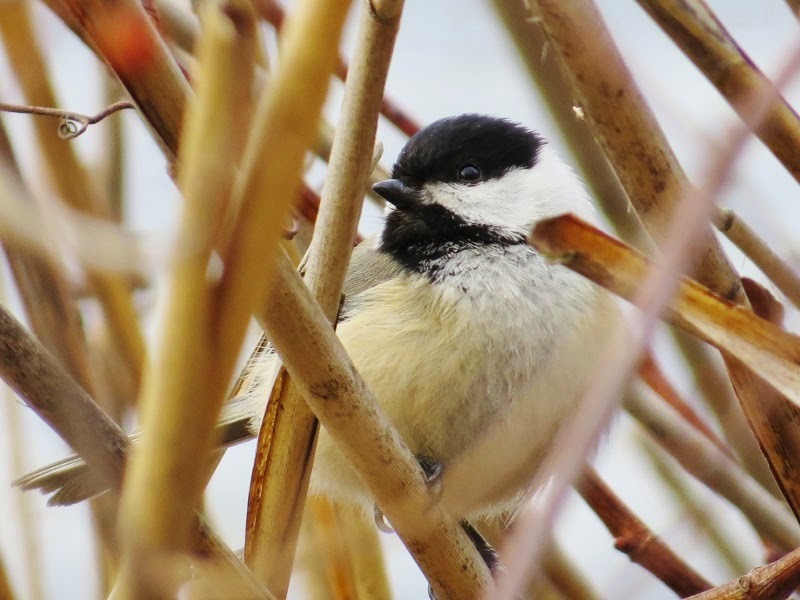 Taking your time and having a little patience can make a big difference when it comes to birding! There's no groundhog coming out of a hole looking for its shadow in the town of Portland but when the snipe start to descend upon the fairgrounds we know that Spring has finally begun. 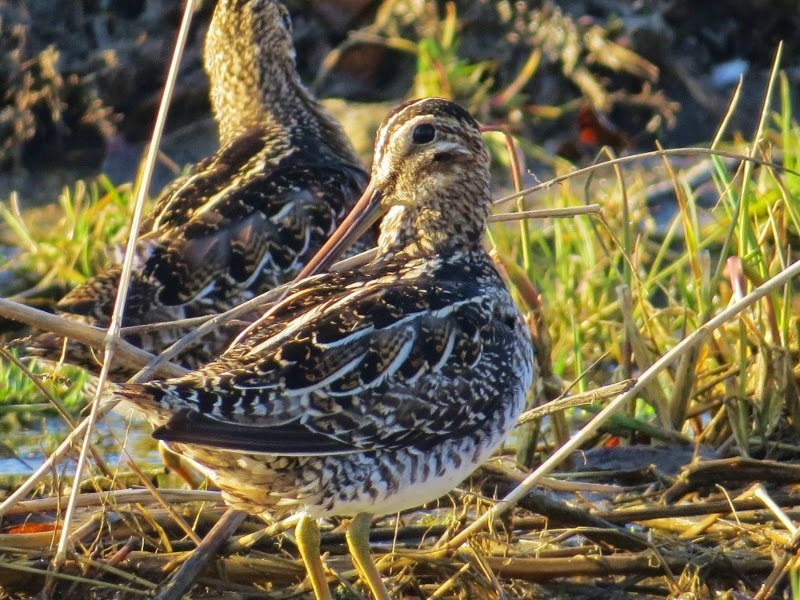 There is a little skating pond at the fairgrounds and soon after the ice thaws out the Wilson's Snipe start showing up probing for food in the muddy soil that surrounds the pond. This weekend I counted 10 but there have been years when I've seen as many as 50 at a time. 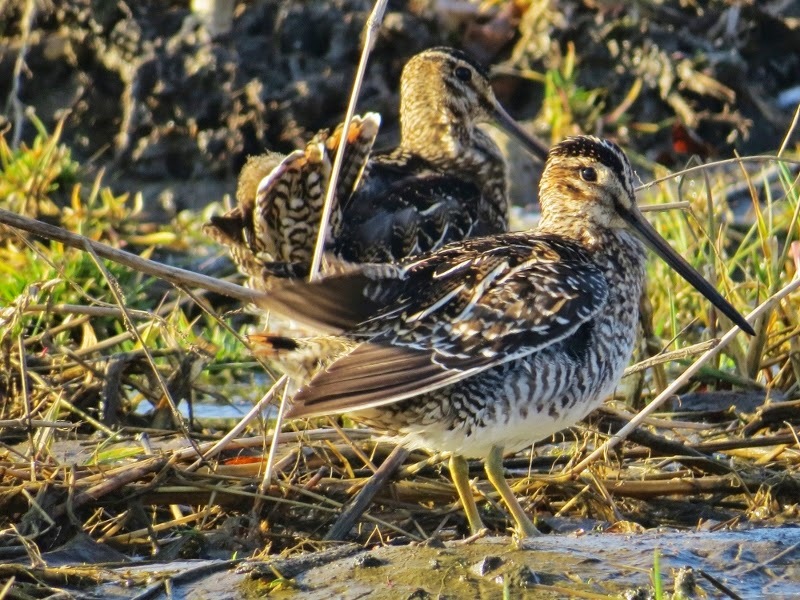 Some names used to describe a group of snipe include: a "walk", "volley" , "leash", "winnowing", and "whisper" of snipes. snipe can reach a flight speed of 60 mph . Trying to get photos of snipe can tricky because they like to hunker down in the grass where they're hard to see and they're easily flushed if you get too close. I like get there in the early morning as they start waking up. At first, they are perfectly still and look like little clumps of dirt. On cold mornings as the sun warms their bodies you can see their bodies expand and contract and they start to wake up. 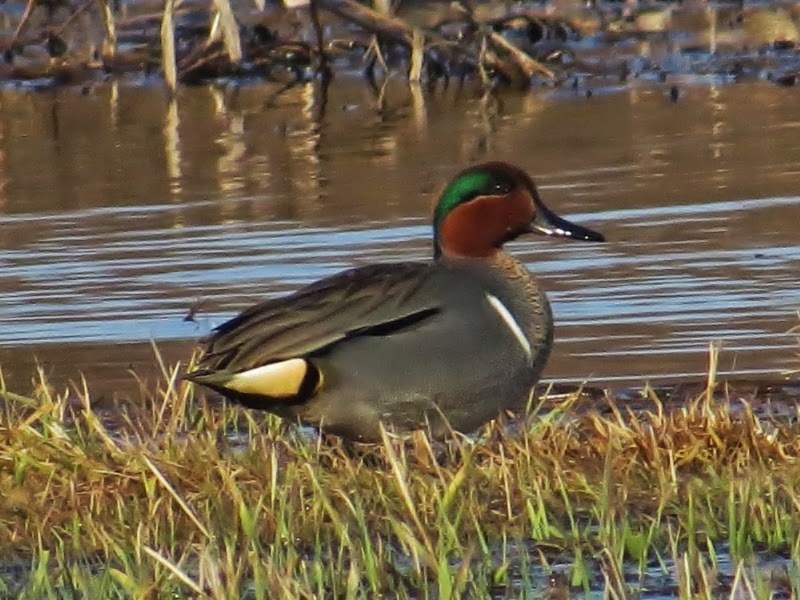 Different species of ducks like the Green-winged Teal also start showing up at the skating pond in April. Last weekend we counted over 150 Wood Ducks. 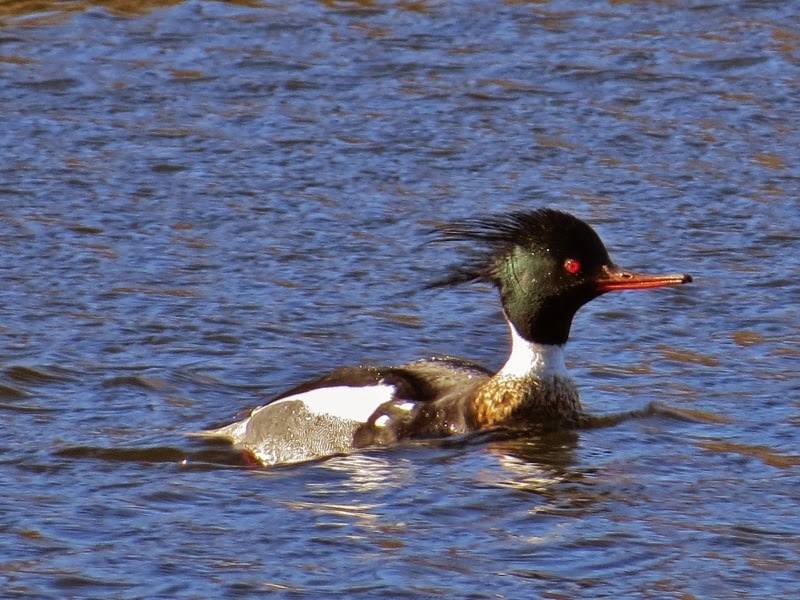 This past Saturday there was also 2 Red-necked Grebes in the river next to the meadows. I took too many breaks from birding this winter but now that the snipe have officially declared it Spring I plan to make up for lost time!